The area is called Tulul Alsafa, Arabic for "Al-Safa hills". What you have zoomed in in the linked map is one of those 38 cinder cones. 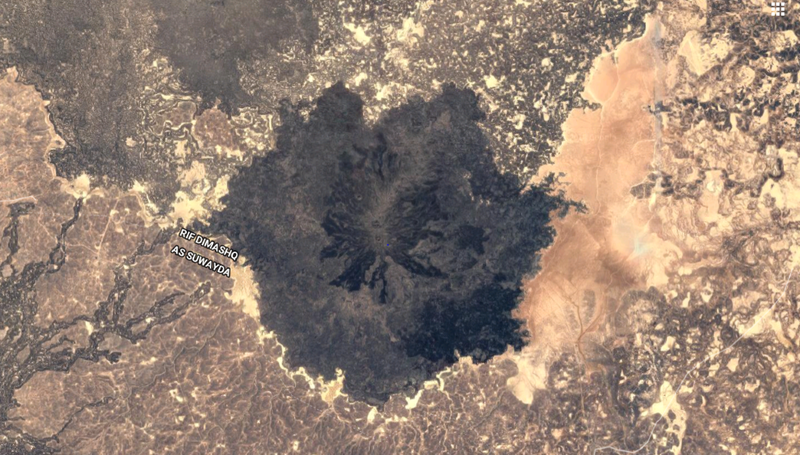 Factoids: According to news reports, this area is where ISIS is "hiding" now (Sep 2018) after being hit by the Syrian army, it has unique geographical features which makes it hard for the army to follow them (according to the article I read).